genusskochen - Food- und Lifestyle Blog Quote of the Day :: I'm a sleepaholic, chocoholic, shopaholic. I'm a girl. 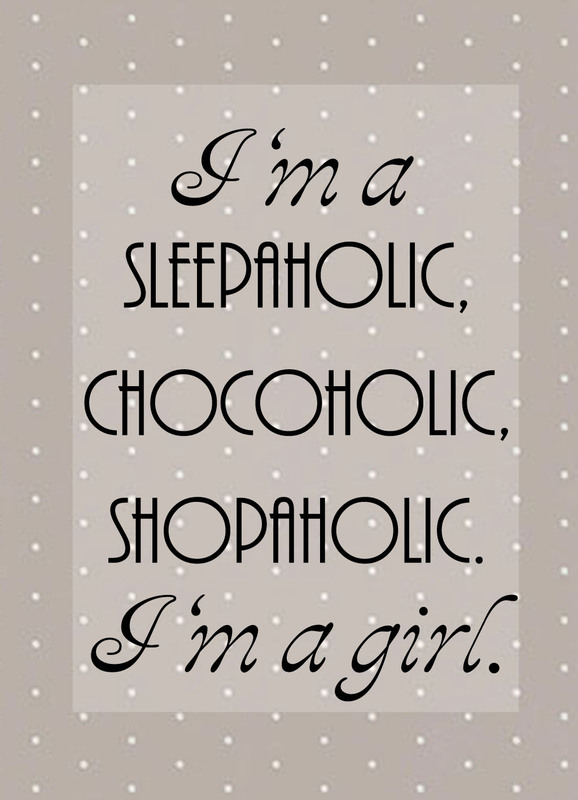 Quote of the Day :: I'm a sleepaholic, chocoholic, shopaholic. I'm a girl.